Northern Ireland's five main political parties each spent more than they earned in 2016. 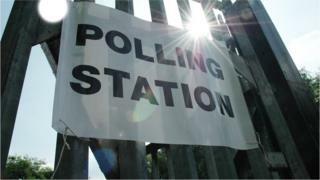 Parties earning more than £250,000 are required to provide the Electoral Commission with audited accounts. The biggest spender was Sinn Féin, with £1,184,000 of income and expenditure of £1,250,000. The Democratic Unionists came second with £792,000 of income and expenditure of £858,000. Compared to the previous year, total income across the parties increased by about £384,000, and expenditure increased by more than £700,000. 2016 was a busy year for the parties, with an assembly election in May and the EU referendum in June - which may account for the fact they all went into the red, says BBC News NI political correspondent Gareth Gordon. The expenditure appears to be hurting, he adds: Recent figures from the Electoral Commission showed that parties campaigning for the snap Assembly election in March spent less than half as much as they did on last year's Assembly election. The deadline for parties to submit accounts was 7 July 2016, and the Alliance Party failed to deliver an auditor's report of its accounts. The commission said it would consider this failure "in line with its established enforcement policy". Ann Watt, head of the Electoral Commission in Northern Ireland, said: "The availability of these accounts is important for the transparency of political finance outside of election campaigns. "People should be able to see how parties raise and spend money and be assured that their accounting is accurate and assessed by an independent auditor." In July, Northern Ireland Secretary James Brokenshire announced that, from 1 July, all donations to Northern Ireland parties would be published. The Electoral Commission subsequently called for the release of information to be backdated to 1 January 2014.